> Blog>Blog>Salad server as a Christmas present / gift for employees, colleagues or customers? Salad is a very popular side dish which is often prepared rather quickly as a main course. Just add a few matching salad and vegetable ingredients in a for example large bowl out of olive wood, sprinkle with oil and vinegar, a Pinch of salt and pepper….stir well ….and done. If you are alone, you can eat the salad directly from the bowl, but serving with a salad server is much more convenient, especially if you have guests. 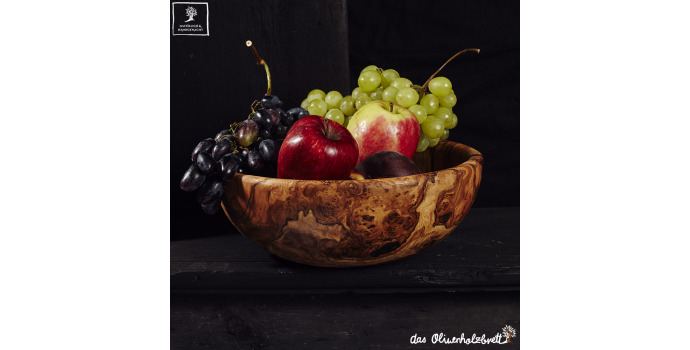 For example, you can use our hand-crafted olive-wood salad servers to mix the leafy vegetables and ingredients. Each of these cutlery has a unique and expressive wood grain. So always a real eye-catcher. Sustainable, made in high quality and attention to detail There are many reasons why olive wood is one of the most popular woods worldwide. It is simply very durable and durable, so it is easier to withstand minor scratches, cuts and external effects compared to many other woods. If you place a logo on the salad servers by laser, each customer has a positive association with your company with each use. And that will be often! As the trees grow very slowly, the wood becomes particularly hard and dense. The result is a commodity characterized by long-term investment and, above all, high quality products. Its hardness makes it ideal for kitchen products and is still nice to look at and easy to keep clean. In addition, olive wood has natural antibacterial properties. Unlike glass or plastic, it shows the ability to stop and kill the growth of bacteria. So if you are looking for a sustainable and beautiful gift for daily use, a salad server might be the right choice for you! And last but not least, salad servers often fit in the budget. Be inspired by our gift inspiration webpage.